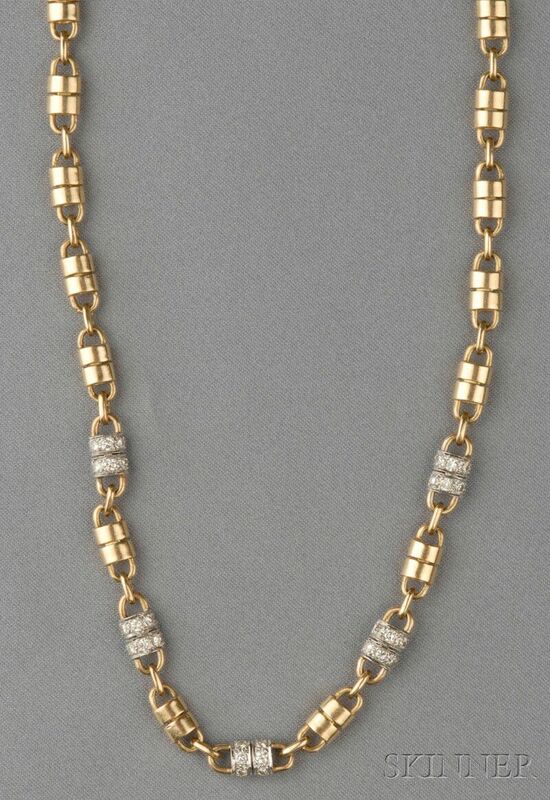 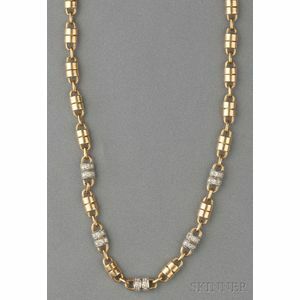 18kt Gold and Diamond Necklace, Van Cleef & Arpels, composed of barrel links, five with platinum and diamond accents, 34.3 dwt, lg. 23 in., no. 4K294-1, signed.